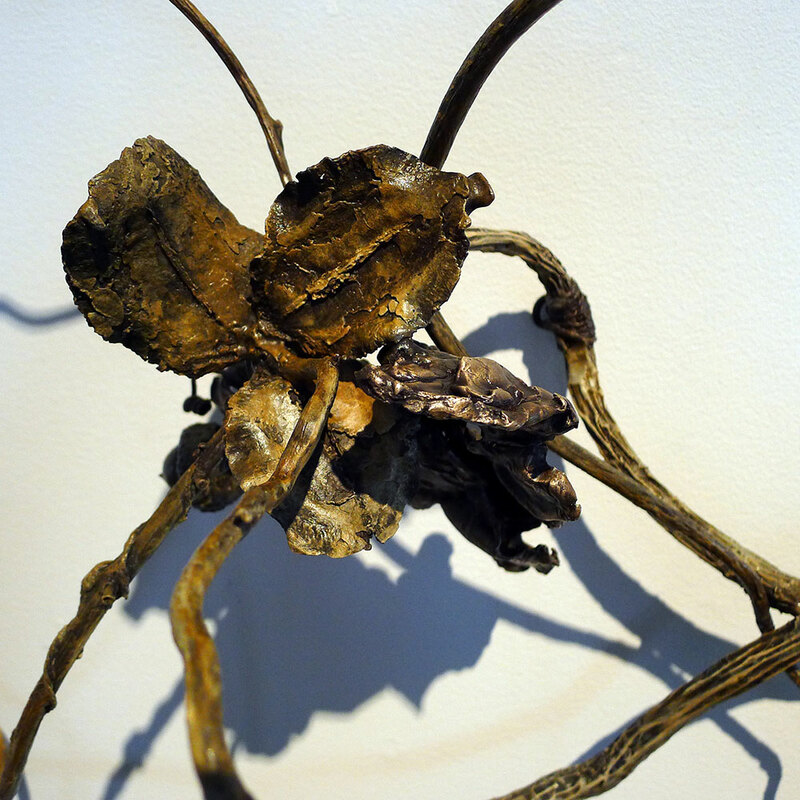 MY SCULPTURE is invested in and derived from the infinite surprises of natural forms. It is the combination of fallen tree limbs; their simplicity and elegance that have inspired me. Empty bird's nests arranged in crevices and niches of the barren trees suggest an element of mystery. The lure of ever changing life in nature. Cast in bronze the mixed materials become one defined by line and shadow.